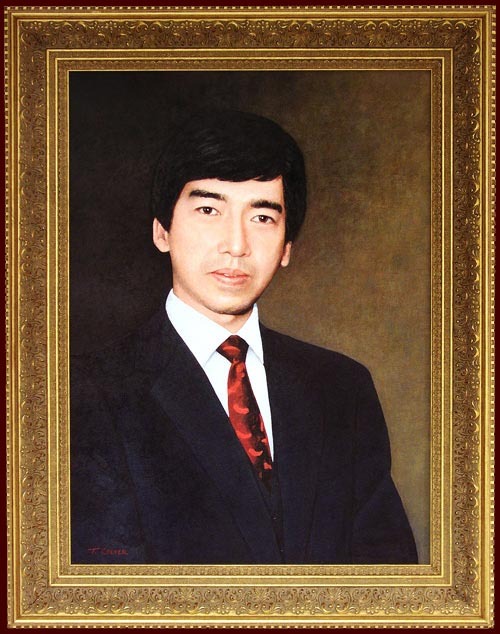 This portrait of the late Prince Takamado was commissioned by Davis and Company, Canfor Corporation, Colliers International (Halifax), Manulife Life Insurance Company, Teck Cominco Ltd., and was featured at the Canadian Embassy at their 75th anniversary of Canada-Japan diplomatic relations. The painting is permanantly on display in the Prince Takamado Gallery at the Canadian Embassy in Tokyo. (c) 2004 Ted Colyer. All rights reserved.